Welcome to Blue Moon Promotional, Inc.
We are an award winning one stop solution for contract Screen Printing (wholesale screen printing). Located in Cleveland (Eastlake), Ohio, we serve primarily the NE Ohio market, but have clients throughout the US. Our attention to detail, customer service and use of high quality, commercial grade equipment, ensures highest customer satisfaction and lots of repeat business! Both large and small customers are welcome, as we currently serve many of each. We will gladly work with you to help grow and/or further develop the garment decorating area of your business. Our number one Priority is YOUR SATISFACTION! Amazing things with low color counts. Printing shading produces more dynamic prints and it does not require additional colors! If there are any issues with the design we will let you know before printing it. We will also get in touch if there are changes that can reduce the production cost or we can improve the design without additional expenses! We prefer to print your designs, but will gladly help if you need us! 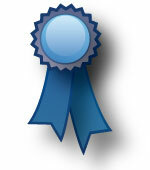 Click here to see some examples of our work. Pierre and the staff at Blue Moon maintain the highest standards for quality and integrity in the screen print industry. 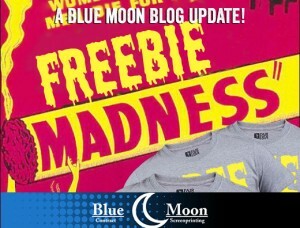 The team at Blue Moon is very knowledgable about apparel trends, industry techniques and screen print solutions. I highly recommend Blue Moon Printing for all of your screen print needs, one of the BEST in the business! Fair pricing . . . Would you be interested in training some of my other vendors? Please keep up the good work, and please don’t let this go to your head and raise any prices!